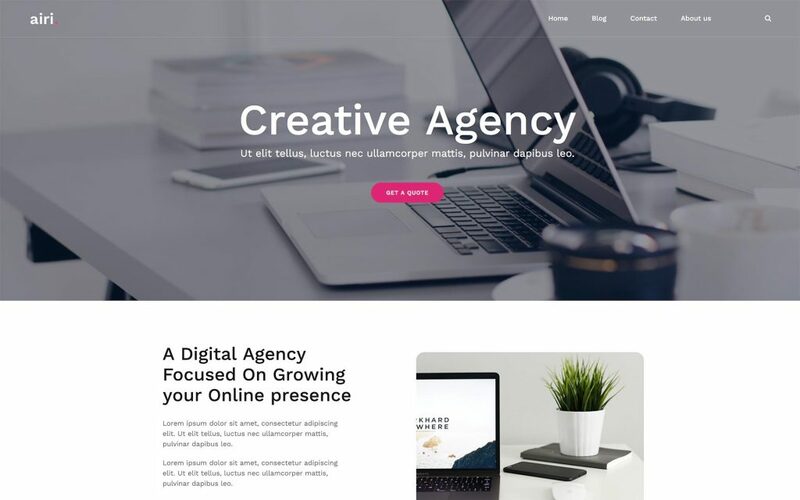 Zakra developed by ThemeGrill is lightweight multipurpose WordPress theme which comes with over 10 free starter demos which can make your website look beautiful and professional. 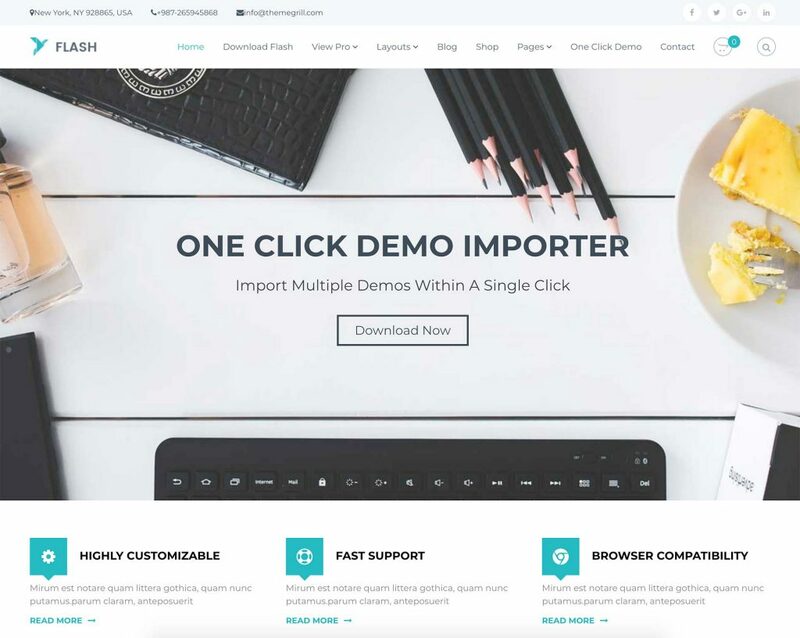 The theme is fully compatible with WordPress 5.0 new blog posts editor Gutenberg and Elementor page builder ready which gives you opportunity to design and control your website just how you like. 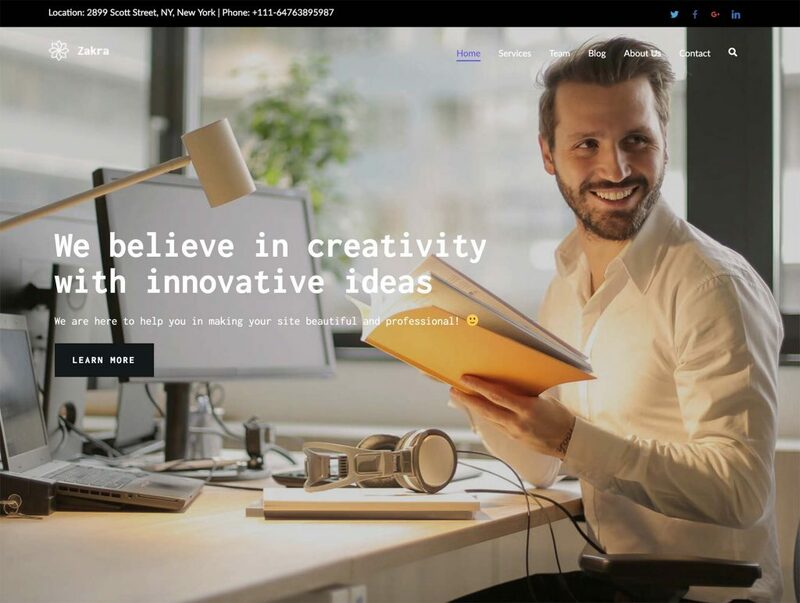 This WordPress theme features over 10 beautiful designed importable demos suitable for wide range of business websites such as Agency, Restaurant, Shop, Cafe, Spa, Charity, Yoga, Dentist, Wedding, Education and more. Free Zakra WordPress theme is 100% GDPR complaint so it doesn’t store any sensitive data of site users without consent form their side. Several widget areas are available from header to footer so you can add any widgets of your choice in many places. Following best Search Engine Optimisation practices Zakra theme delivers your important content to search engines such as Google, Bing, DuckDuckGo and more. Zakra is 100% responsive so its automatically suits to the screens of desktop, laptop and mobile devices on the fly. 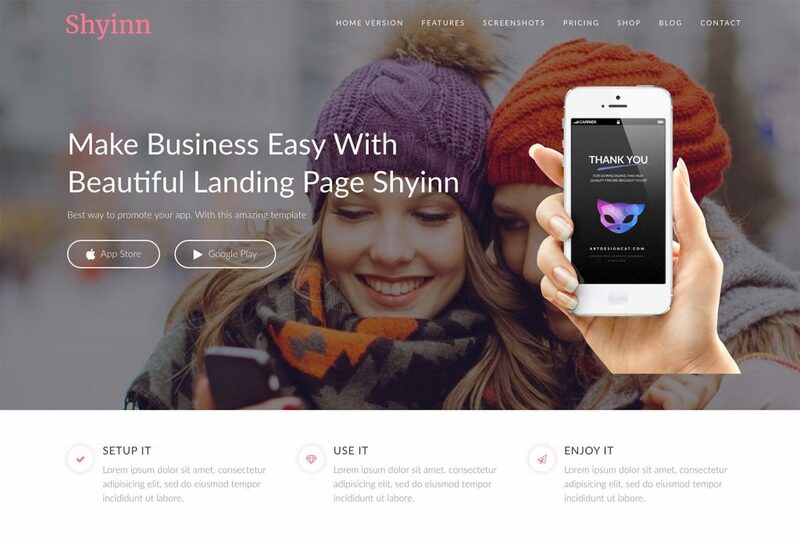 Also the theme gives you a choice of boxed and wide layout so you can present your content just like you need. 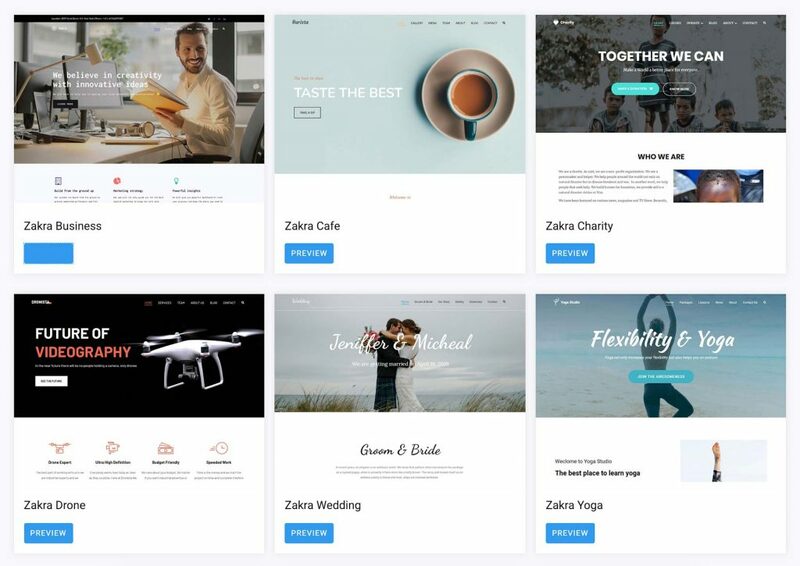 Zakra WordPress theme is available to download from WordPress.org Theme Repository.